The out-of-school care (In Dutch this is called BSO) for ISUtrecht students is facilitated by childcare organisation KMN Kind&Co. They run after school club Anne Frank for children aged 4-7 and after school club Worldtravelers for children aged 8-12. BSO Anne Frank is located in the Anne Frank primary school just up the road from the ISUtrecht. BSO Worldtravelers is located in UniC secondary school, next door from the ISUtrecht. Kind&Co staff members pick up the children from the ISUtrecht and walk with them to their after school club. 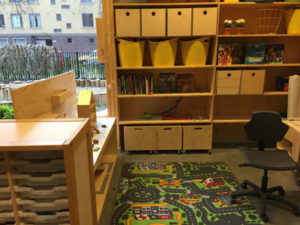 Besides out-of-school care, Kind&Co also offers play mornings for toddlers, aged 2-4 at Playgroup Kitty, which is also located in the Anne Frank school. During the toddler mornings there will be both free play and more structured play, preparing the children to start school at the age of 4. Children from several local primary schools use the after school clubs Anne Frank and Worldtravelers. Playgroup Kitty is also open to international and Dutch families. 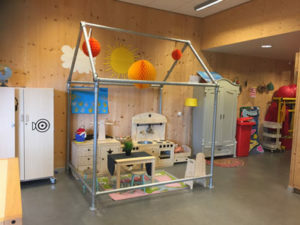 Kind&Co also offers childcare to babies and toddlers (0-4yrs) in various crèches or daycare centers (in Dutch this is called a kinderdagverblijf) throughout the city. Kinderdagverblijf Waterpret, Scheldestraat 12 Utrecht, is the closest to the ISUtrecht. 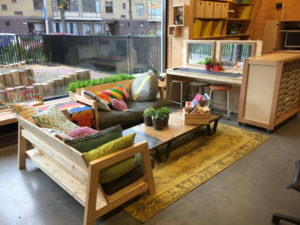 Kind&Co offers after school activities such as, arts and crafts, engineering and different sports every Monday, Tuesday and Friday afternoon. Children who go to one of the after school clubs, can either choose to join in with one or more of these weekly activities, or opt for free play. ISUtrecht students who don’t go to the after school clubs, can also join in with the after school activities. The contact person for Kind & Co is Ilse Boellaard, +31(0)30 6004750, or planning@kmnkindenco.nl. Please inform Ms Boellaard that you are an International School Utrecht parent.